Happy New Year! We’re starting into 2019 with an exciting new feature. 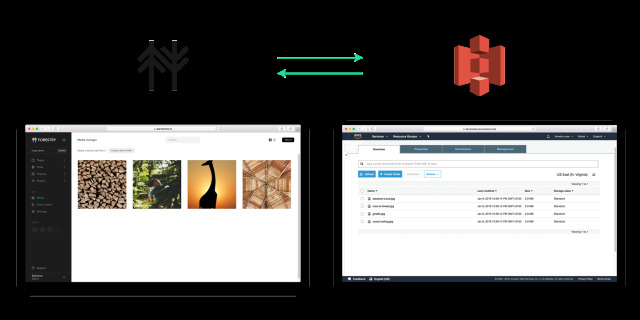 Today we can announce support for S3 as an image storage provider for Forestry. 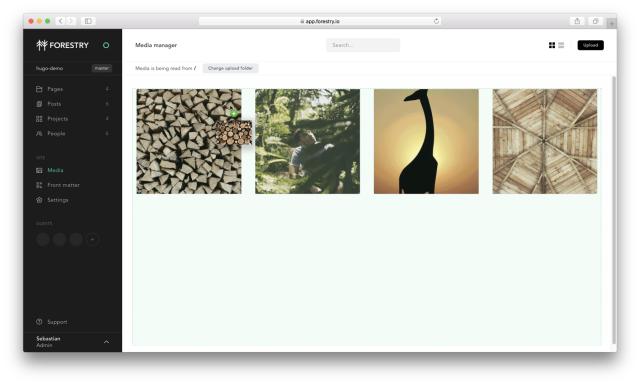 The S3 integration makes it possible to efficiently store, organize and deliver images while keeping the editing experience in Forestry simple and clean. Editors, marketers and writers can continue to use the Forestry Media Library without even knowing that they are using S3 in the backend. This makes it possible to use drag & drop for uploads and offers previews for their images. With S3 support you can now store your images outside of your repo and take control of your image handling. S3 Buckets are widely supported and therefore allow you to add additional services for your images. 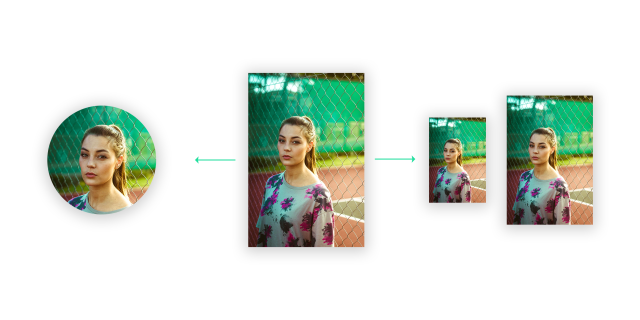 A popular choice for on-the-fly transformations is the image delivery and manipulation service imgix. Try it out and let us know what you think. Ready to get started with S3? Follow our How-to guide in the docs. 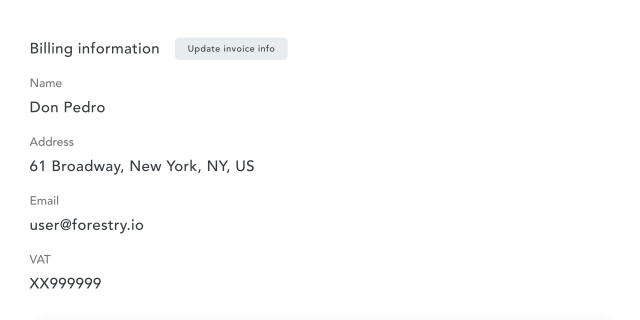 You can now update all your billing information for Organizations right in the app. Go to your Organization’s settings and navigate to the Billing tab. To see your Billing Information you need to be the owner of your Organization. Until now our Drag & Drop functionality for Blocks was limited to the desktop version of Forestry. Now you can use this functionality on your mobile devices as well. To stay on top of the improvements we make to Forestry, be sure to check our changelog from time to time!